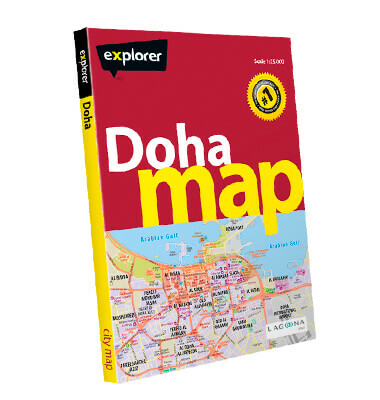 The most accurate and comprehensive map of Qatar’s capital, this large fold-out map shows the whole of Doha in pinpoint detail. The easy-to-read map features road names and numbers, hotels, malls, parks, beaches, embassies, hospitals and places of interest. There's also a handy directory of map references so you can easily navigate the city.